Morning guys! It’s going to be a bright, bright, bright sunshine-y day for Android users, namely because photo-sharing darling Instagram is now available in the Android Market. If you want to hurry up and try it out without having to read the rest of this (it’s that intuitive), you can download the app here. And go ahead and skip to Paragraph 7 if you already use Instagram on iOS, and don’t want to have to sit through a n00b explainer. For those of you who are new to the entire Instagram experience, the app is pretty simple, and that’s what makes it amazing. 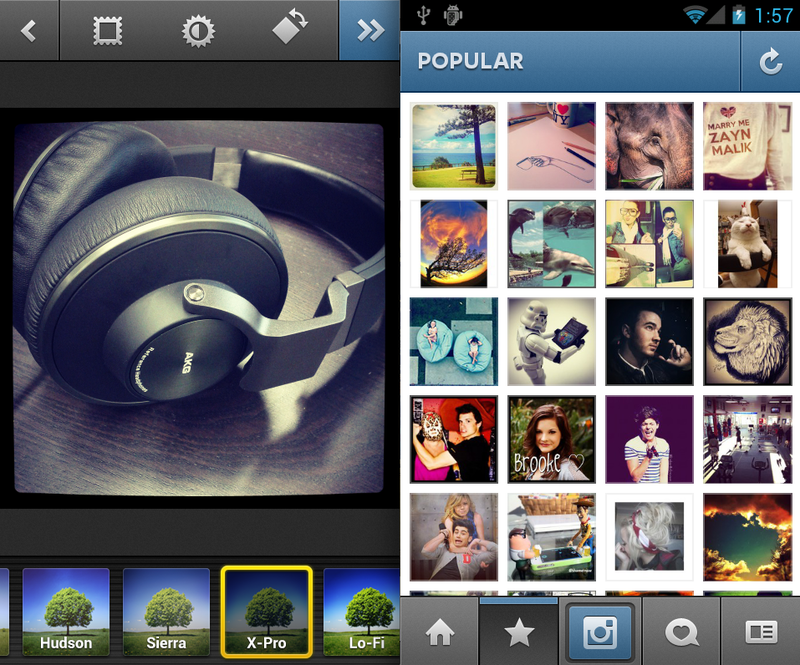 To use Instagram just open it up and either capture a photo or choose an existing one from your photo library. Once uploaded, the app allows you to move and scale your image. After you’ve selected a composition, you can run the image through the ‘Lux’ feature by pressing the Sun icon in the far left of the next screen (Lux, similar to Camera+’s ‘Clarity,’ amps up photos by boosting their contrast). While on this step, you can either add a border or go sans, rotate an image, or cancel out of the navigation screen by using the icons in the app’s top navigation bar. At the bottom of the screen, you’re met with Instagram’s famous filters, including the SF-inspired Valencia, Sutro and Brannan and the one I always end up using, X-Pro. Because we are all idiosyncratic little snowflakes, everyone has their unique preferences. Once you decide on the exact specs of the photo you’re going to post, you click on the green check mark provided, and the app’s flow allows you to input a description and a Twitter-like hashtag for search, geotag the photo, and share to Twitter, Facebook, Tumblr, Posterous, Foursquare or via email. In addition to sharing, clicking ‘Done’ will post the item to your Instagram feed, where it will be enjoyed by your followers if you have them. You can see the photo in addition to photos from the people who you follow by clicking on the Home icon. 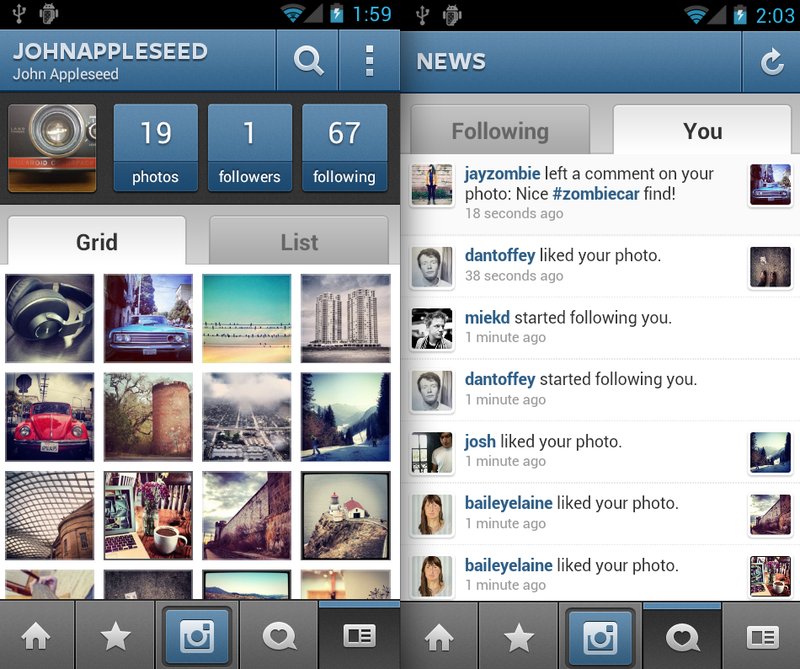 Clicking on the Star icon will bring you to the Instagram Popular page. I’ve never actually figured out how to get a photo to ‘Popular’ on Instagram, so if you do it please let me know. I think the trick is to have a lot of followers (Isn’t that always the trick!?) — And I’m still not convinced mere mortals can do it. Aside from the Popular page, the main Instagram navigation screen allows you to view ‘News’ by selecting the ‘Heart Comment’ icon and your profile by selecting what looks like an ‘Index Card’ icon on the far right. This is where you can find people to follow, view all your photos in either grid or chronological list view, and edit your profile. Instagram co-founder Kevin Systrom tells me that the Instagram iOS app has now hit 30 million users after about a year and a half on the market, and with Android at 500 million activations (for comparison, Apple is at something around 180 million iPhones sold, total) the startup has a real chance of hitting 100 million users across both devices soon enough to matter. Facebook took about four years to reach its first 100 million; The idea of Instagram becoming the world’s first formidable, mobile-only social network is extremely compelling. Systrom tells me that a major concern of his is consistency across both platforms, and that the same 13 people who built the iOS app also built Android, which can run on any camera phone with Android 2.2 or above with support for OpenGL ES 2 (a technology needed to power the Instagram filters). 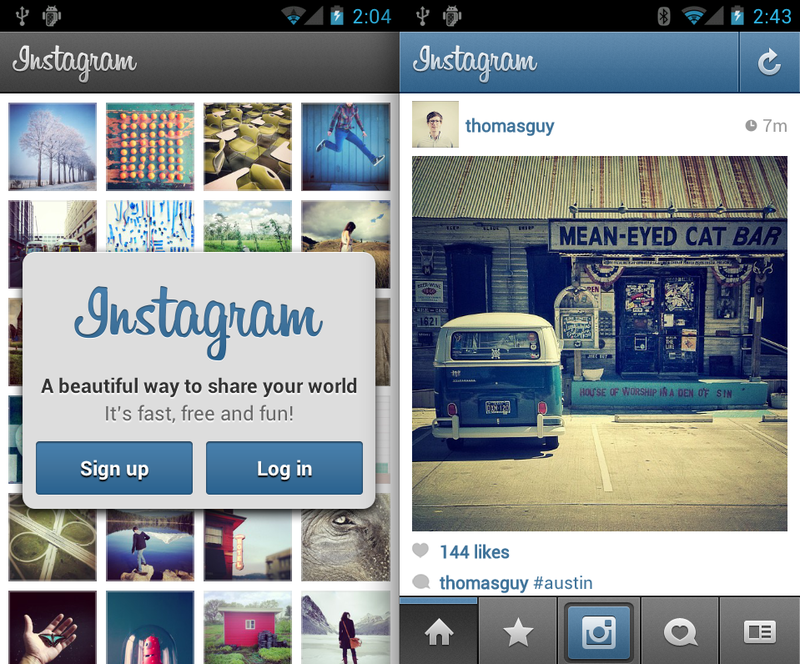 “The Android app offers an extremely familiar Instagram experience when compared to the iOS app,” Systrom writes, “You’ll find all the same exact filters and community as our iOS version.” iOS features like Tilt/Shift, Flickr integration and inline posting didn’t make the cut this time but will hit future versions. The app is also available in Chinese, French, German, Italian, Japanese, Korean, Portuguese and Spanish. The company is rumored to be raising $40 million at $500 million from the usual suspects of top-tier VC firms. Perhaps we’ll see more expansion in the future? Systrom wouldn’t comment on what platform it would launch on next, and ignored my questions about an iPad app or website. And I’m excited to have my Android user friends included. Finally. Hi Jason.